Canada, according to the “blowback” camp, is simply reaping the seeds it has sewn for taking part in the NATO destruction of Iraq and Syria. Predictably, the alternative media has soon followed behind the blowback proponents who are usually mainstream individuals – commentators, theorists, “journalists,” hosts, politicians, “activists,” etc. – as an attempt to use the alleged credibility of the speaker so as to bolster its own anti-war case. Unfortunately, the blowback position is not only fraught with problems and inconsistencies, it is entirely a cop out. To argue that terrorist attacks like 9/11, the London 7/7 bombings, Boston Bombings, and now the Canadian shootings among others are the result of bad American policy is to find oneself arguing a timeline of “who started it” that does not exactly match up with the theory or a cause-and-effect scenario that does not always match up the cause with the effect or the regions in which the cause and effect have taken place. Blowback proponents must subsequently find themselves arguing against any comprehensive response to terrorism beyond simply ending all current foreign engagements and hoping that extremist sentiment finally settles down and dissipates over time. For those who have died in terrorist attacks in the past and those set to die by them in the future, such logic is bound to ring hollow. The argument to simply pull back, hope for the best, and expect a “cooling down” period to take its course is weak indeed. Most importantly, however, proponents of the blowback theory, regardless of their good intentions, essentially act as cover-up artists for the world oligarchy. Like 9/11, “incompetence theories,” blowbackers are forced to admit that such terrorist organizations are organically organized in response to some perceived injustice. 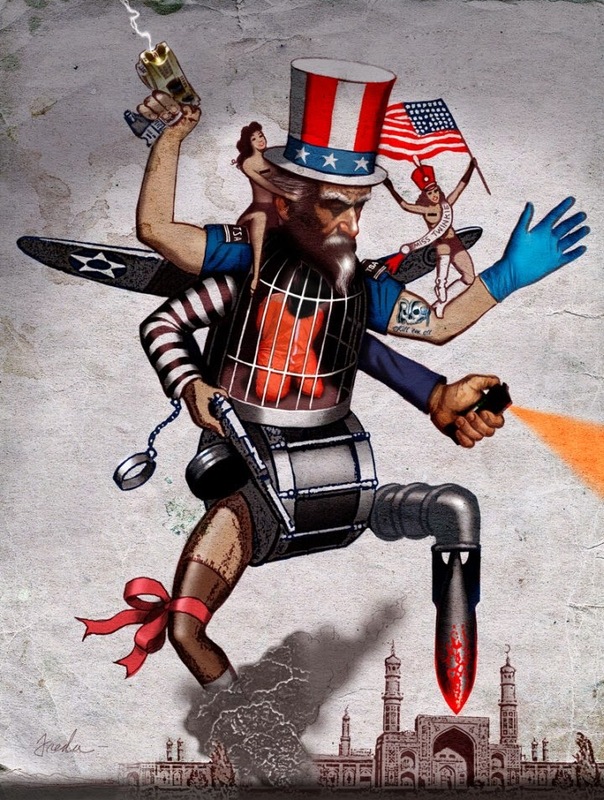 Even blowbackers who are able to admit that groups like al-Qaeda were actually created by the United States intelligence community are subsequently forced to acquiesce to the idea that it is an organization that was abandoned by the U.S., mishandled, or otherwise no longer under the control of the West. This argument, of course, fundamentally misses the facts surrounding situations like 9/11, 7/7, the 1993 WTC bombing, Libya, Iraq, and Syria. Indeed, attempting to understand any of the crises mentioned above without understanding that NATO, the United States, Britain, France, Israel, GCC, and other allies not only created but funded, directed, trained, armed, and continue to control these terrorist organizations, is an exercise in futility. That is, such an approach is an exercise in futility if one’s goal is to determine the truth surrounding the situation. The blowback superstars include a small number of politicians but especially include individuals like Noam Chomsky and Glenn Greenwald, two individuals who have repeatedly assailed the 9/11 truth movement despite their inability to adequately address the inconsistencies in the official story or provide adequate solutions to any problem they are forced to address. Blowback theory presents the 1993 World Trade Center bombing, 7/7, 9/11, and other terrorist attacks as a response to Western aggression and thus completely covers up the fact that these attacks were entirely orchestrated by the very governments who claimed victimhood by them after the fact. Blowback theory presents the emergence of ISIS in Iraq and Syria as an organic creation that appeared due to American interference in Iraq. Blowback theory attempts to portray al-Qaeda as a group that was created (if the theory proponent is even moderately honest) by the U.S. which has come back to bite us. The truth is that “blowback” has very little, if any, historical precedent. It is also the truth that “blowback” is nothing more than intellectual gatekeeping, regardless of who espouses it. If one wishes to discover the hidden hand behind international terror, he need look no further than Washington, D.C., London, Riyadh, and Tel Aviv. He may begin looking at the myriad of inconsistencies surrounding virtually every terrorist attack that has occurred in the Western world within recent memory, a search that will lead to precisely the same locations.